Why The Errors In 'The Anthology Of Rap' Matter : The Record Bloggers have picked out flaws in the book's transcriptions of rap lyrics. Why you should care. Last week, the great discussion around The Anthology of Rap developed a few wrinkles. The same day we published our conversation about the book with New York Magazine critic Sam Anderson, Paul Devlin wrote a piece in Slate noting that the book contained numerous transcription errors. "This is not a game of gotcha," Devlin wrote. "But this book, with its university-press imprimatur, will be quoted from by future students and scholars, and while much of it is accurate, too much of it is not." Around this same time, reviewers of the book on Amazon.com begin to notice that many of the errors in the book mirror similar errors on online databases like The Original Hip-Hop Lyrics Archive (OHHLA). Anthology editor Adam Bradley appears on NPR's All Things Considered and tells host Guy Raz that the point of the book was to "focus as much as possible on the lyrical art." On Monday, The Record contributor Jay Smooth posted 14 more errors he had located in the book on his Nil Doctrine blog. In the comments, a reader identifying him or herself as one of the researchers who worked on the transcriptions says that resources like OHHLA were used as "a starting point, not the main research tool." On Wednesday, Devlin again wrote about the book in Slate, tallying the errors he and Jay Smooth had found by that point. Devlin includes response from Bradley, who said, "The primary source was always the recorded song," and "The Anthology of Rap is 867 pages long. It contains close to 300 songs. It includes more than 25,000 lines of lyrics. We believe it's the most polished and most thoughtfully edited collection available." The errors Jay Smooth and Devlin and others have found suggest that maybe this document should have been polished a little more, but a question nagged at us: are The Anthology's shortcomings merely annoying -- a chance for rap nerds to flex their deep knowledge -- or do they point out something about the way we read rap, and how our collective knowledge might be eroding? "I don't know if I would use the word 'erode,'" said Jay Smooth when we got in touch with him. "I don't think it means the world has forgotten the essence of these works. In that general sense these are quibbles for purists." We reached out to Adam Bradley, The Anthology's editor, for comment, and a publicist for the book's publisher replied to say that he was traveling and couldn't respond (Bradley has promotional appearances scheduled this week in Washington, D.C., New York and Harvard), adding that while "there's been a ton of interest in the book, which is great, ... some of it seems to have become a bit overheated and not fairly representative of the book itself." Smooth acknowledges that many of the lyrics presented in the book are accurate, but he says, part of hip-hop's appeal has always been the idea that through the songs, you could get "a window into a world you don't fully comprehend." Furthermore, a flawed set of lyrics "doesn't represent the full meaning and quality of an artist's work, and it denies readers a chance to understand the work in its full context, which would be a much richer experience, would give a much deeper understanding of the art and where it came from." Ason, I keep planets in orbit"
"In a G Building, taking all types of medicine." "Knowing that what they mistook as 'energy building' really refers to the storied folklore of Brooklyn's most famous mental ward, the G Building," Smooth says, "would give you a much fuller sense of the flavor and context of ODB's song." It would also help the listener know more about the rapper himself. Smooth says that when ODB's Wu-Tang compatriot GZA confirmed this correction, he pointed out that ODB literally wound up "in a G building taking all types of medicine." Smooth says that early rappers wrote with their community in mind, which made rap songs seem like a conversation between insiders. 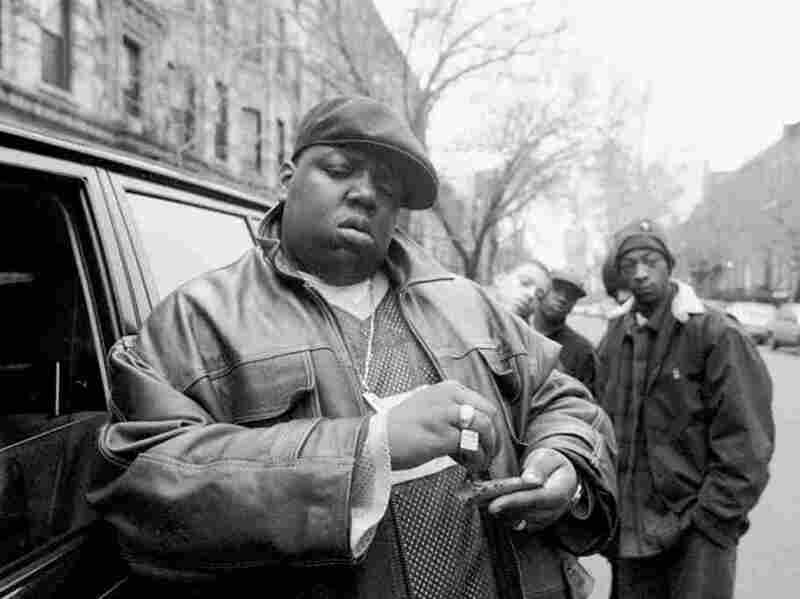 Smooth, who grew up in Manhattan, says he knew that the Allen Carpet The Notorious B.I.G. mentioned in the song "One More Chance" (and inaccurately transcribed as "Island Carpet" in The Anthology) was a chain of stores in the New York area, but was an outsider when it came to songs from other scenes. "I didn't know what a 'swap meet' was before West Coast hip-hop introduced me to it," he says. "I didn't know what 'Compton' was for that matter. I initially thought it must be some town in New Jersey." But the Internet has made it hard for regional slang to remain purely regional, Smooth says. Which means more people can understand the general idea of a song, though he expresses concern that it will lower the bar when it comes to authoritative sources like The Anthology. And he thinks these errors in The Anthology of Rap could have been avoided. They suggest how "the succeeding generation will not have the same understanding as the artist's contemporaries," Smooth says. "But those contemporaries are in their thirties and forties. It's not like we're studying tapes that Lomax dude made in 1933 or something. So it should be possible to capture these nuances properly, and this sort of project ought to better accomplish that while we still can."